Lucy’s first contact with Heal For Life was as their Landscape and Garden Design Consultant when back in 1997 she prepared the landscape drawings for the Healing Centre in NSW. Since then she has committed a part of her time each year as a volunteer with the Heal For Life Foundation programme. 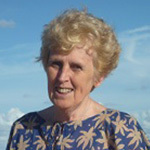 Lucy is a survivor of extreme childhood trauma and has undertaken Counsellor training in the UK followed by a Graduate Diploma in Pastoral Counselling at St John’s College Nottingham, UK. 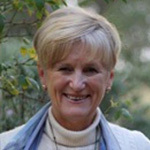 In Australia she has been trained as a peer support volunteer and more recently as a facilitator for the HFL programme. She is now a part of the team who run healing weeks in the UK. The Heal For Life Foundation community includes residents, volunteers, supporters and staff. All the residents are volunteers, and most are survivors of childhood trauma.